Each Veterans Day Air Force and Army ROTC cadets from the University of Portland keep a 24-hour vigil at the Praying Hands/Broken Wall Memorial near Christie and Kenna Halls. 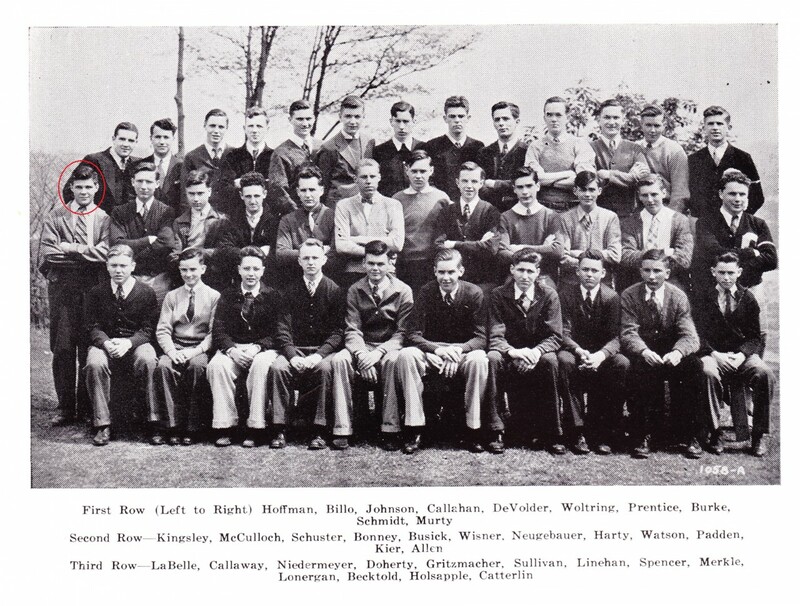 The Memorial Circle remembers those from Columbia Preparatory School, Columbia University, and the University of Portland who gave their lives in war-time. 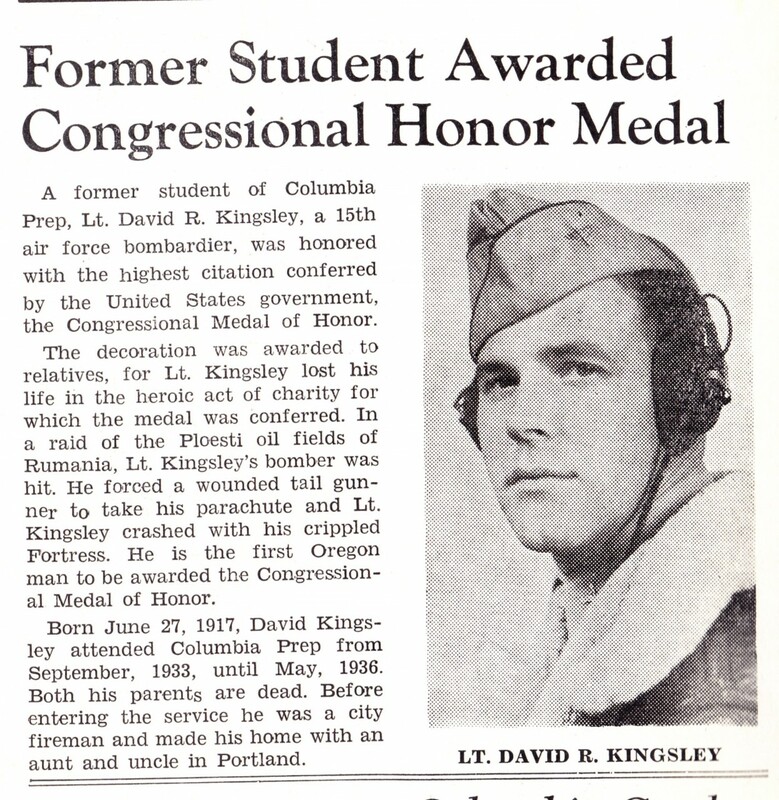 In this post we remember one of those men, Second Lieutenant David R. Kingsley, Columbia Prep student from 1933-1936, who fought and died in World War II. David Kingsley knew about sacrifice from the early age of 10 or 11 after his father died from an automobile accident while helping a neighbor, AND after putting aside his own need for medical treatment insisting that his passenger be seen first. And again, when David’s mother was paralyzed from cancer, and he assumed the role of father and mother to care for his seven younger brothers and sisters, giving up sports and study at Columbia Prep one year short of his graduation. 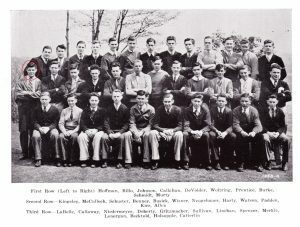 But the sacrifice which cost the young lieutenant his life came when Kingsley’s crippled plane was under attack over Romanian oil fields during World War II in June 1944. When crew members were hit by enemy fire, Kingsley tended to the wounded on board. 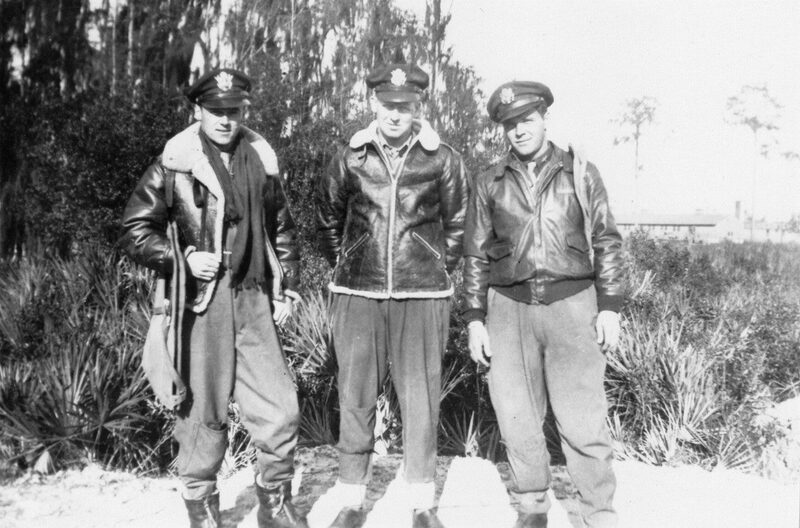 Under orders to bail out of the badly damaged plane, Kingsley placed parachutes on the injured, but when too few were found, he removed his own parachute in favor of an injured soldier and released him to safety. Without a chute for himself, Kingsley perished with the plane — four days before his 26th birthday. 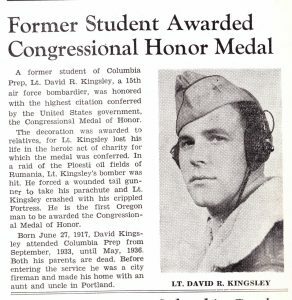 The Congressional Medal of Honor was posthumously awarded to 2nd Lieutenant David R. Kingsley on April 9, 1945. (Full citation) In 2004, the David R. Kingsley Memorial was erected on the crash site in Romania. Kingsley Field Air National Guard Base in Klamath Falls, OR is named to honor his valor. 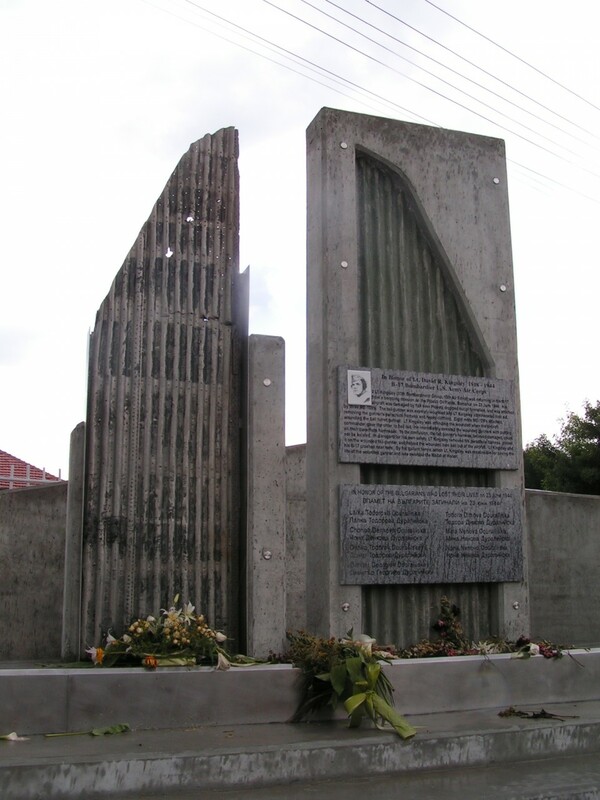 What more do you know about the Kingsley Memorial in Bulgaria?